Last Sunday we concluded our study of Paul’s first letter to the Thessalonians, looking at chapter five, verses 23-28. Paul doesn’t introduce new material in this final section but he does emphasize some things he wants the church to hear in closing. These are things we need to hear as well for our understanding of ourselves as Christ’s church. We are to stand in great confidence. We’ve talked a lot about hope over the course of 1 Thessalonians. What makes Christian hope so solid, in stark contrast to the world’s idea of hope? Paul spelled it out in the body of the letter: “For God has not destined us for wrath, but to obtain salvation through our Lord Jesus Christ, who died for us so that whether we are awake or asleep we might live with him” (5:9-10). He points to God. Now in closing the Apostle plays that card again: “Now may the God of peace himself sanctify you completely, and may your whole spirit and soul and body be kept blameless at the coming of our Lord Jesus Christ” (5:23). Imagine your mother-in-law has announced she is coming for her annual visit. She’s one of those sticklers for a clean house. She arrives at your home and the first thing she does is reach in her purse and pull out a pair of white gloves. After putting them on, she heads for the mantle over the fireplace. How would you feel if the holy God, from whom nothing is hidden were to do that in your life? Any sin, any lack of righteousness would doom you. Paul extends great hope (in the Christian sense) and assurance by saying that God Himself will sanctify you, in the entirety of your being. In other words, He will do the spiritual cleaning that He will inspect. The white glove will come up spotless. As Paul goes on to say, “He who calls you is faithful; he will surely do it” (5:24). God Himself cleanse you and keep you blameless. How does this sure hope and certain confidence come to us? Look again at v. 24. It is carried on the grace of God’s calling, just as Paul emphasized at the beginning of the letter when he stated: “brothers loved by God,” pointing out that God had “chosen” them (1:4; cf. Rom. 8:28-39). We are to exhibit loving community. In Christ, we are a community of faith, of love, of hope. By God’s grace, we have turned from idols to serve the true and living God (1:9-10). We are birthed in the gospel and upheld in the gospel. Paul has displayed for us throughout his letter some of the dynamics of Christian community, and the demands that go along with it. Now Paul touches on this community aspect once again, but from a different angle. Paul has assured the church of his prayers for them (1:2). In closing he asks them to pray for him. “Brothers, pray for us” (5:25). 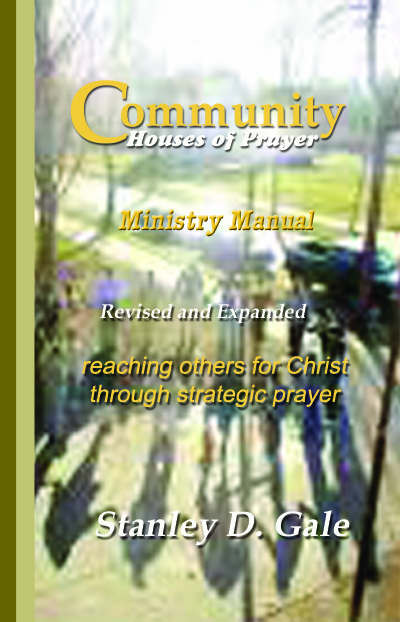 Two primary ways by which a pastor shepherds the flock is through ministry of prayer and the Word. Part my God-given job description as your pastor is to pray for you. Not to pray would be ministerial malpractice. But I am equally in need of your prayer for me. My protection and effectiveness in ministry are dependent in large measure on your prayers. One leader in prayer in the PCA used to conduct seminars where he spoke of an “armor bearer” approach. He described how Roman soldiers would encircle a leader with their large shields that extended head to toe. He spoke of the people being armor bearers to their pastors, through their prayer. He suggested that the people pray for their pastor three times a day, at each meal. I love that idea. And if you eat more than three times a day, all the better. The Apostle Paul goes on to say: “Greet all the brothers with a holy kiss” (5:26). Paul mentions this kiss in several of his letters. Peter calls it the agape kiss, the kiss of love. So, in one sense, Paul is saying, “give everyone my love.” But primarily he is stressing the unity of the body of those set apart by the love of Christ, and who are to exhibit the love of Christ. And notice that this expression of warmth and belonging is to be extended to all the brothers, not just those we are close to or like. We are to keep our eyes fixed on Christ. You can almost hear the gravity of Paul’s next statement. “I put you under oath before the Lord to have this letter read to all the brothers” (5:27). It’s like the apostle is asking them to raise their right hand and take a solemn oath before Jesus that they will make sure every believer in that church hears what he has written in his epistle. What’s the sense of urgency? It’s because this is the word given by God, through His apostle, for the needs of His people. This sentiment of Paul could be expressed by any pastor. Certainly, there is a difference. Paul was a vehicle of revelation, used by the Holy Spirit in the formation of the New Testament. But there is a sense in which I can say the same thing. As your pastor, I prepare a message to minister God’s Word to you. A pastor is different from a guest preacher. A pastor knows the sheep. He knows the nutritional needs of the flock. The sermon he prepares through study and prayer is tailored to the congregation he serves. It takes into account the needs of that particular church and applies God’s Word accordingly. So, I would ask the same thing of you that Paul asks of the Thessalonians. Please make sure you listen to the sermons—either in person, or online through our website, or through email follow-ups like the one you are reading now. My sermons are an important way that Christ builds up and protects and mobilizes us as His church. And then Paul closes with these words: “The grace of our Lord Jesus Christ be with you” (5:28). Grace is what brought us life, and grace is what sustains us as a church. Some movies have memorable endings. I think of the final scene in The Planet of the Apes. It is when we see the half-buried Statue of Liberty that it hits us where we are and what has happened to America. What does Paul want to leave with us as he closes his letter, as the scene fades to black and the credits roll? He wants us to focus on Jesus. It is the grace “of the Lord Jesus Christ” he extends to us. And so Paul leaves us with our eyes lifted to Jesus, who died for us, lives for us, reigns for us, and will one day return for us. He is our hope and our help. We live by Him and in Him and for Him. To Him be the glory, both now and forever. Amen.